Tools for maintenance of your Bagger! RTK-98: Touring tool kit for 2014-up models. 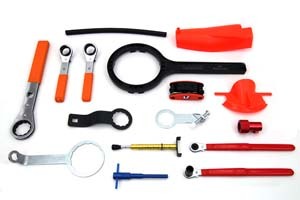 Like below, includes rider tools and service tools for the rider-mechanic. This tool kit will help the rider perform many general maintenence tasks for 2014-up FLT models! Fits: FLT 2014-UP. RTK-11: Rider Touring tool kit for 1999-2013 TC-88 models. Includes rider and service tools for the rider-mechanic. This tool kit will help the rider perform many general maintenence tasks for 1999-13 TC-88 FLT models! Kit includes lower rocker box bolt wrench, exhaust bracket wrench, oil pressure and indicator lamp sender unit wrench tools, rear axle nut ratchet tool, belt tensioner tool, fork stem nut wrench, oil filter wrench, axle lock tool, 13 in 1 folding tool kit, fuel tank lock ring tool, oil drain spigot tool, clutch fill funnel tool and oil catcher pan. NOTE: Not all tools included in kit will be applicable for every year Touring model. 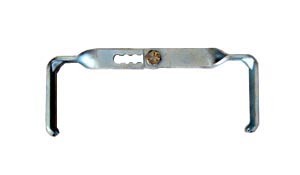 NOTE: Ignition Switch Alignment Tool fits 2003-2013 Touring models only. Fits: FLT 1999-2013. 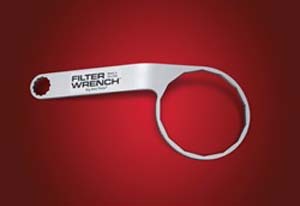 OW-43: Simplify oil filter removal and installation with this convenient End Cap Style Filter Wrench. Wrench grips the filter without crushing the canister. 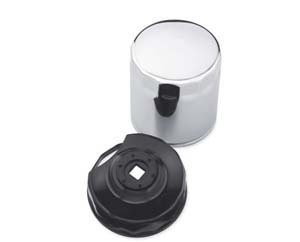 Allows the spin-on filter to be turned with a drive socket wrench. Black oxide oil filter wrench tool is used with 3/8" drive. Tool is for easy removal and installation with spin on filters. The black oxide finish resists rust and corrosion. OW-1P: Tired of skinned knuckles and tools that don't work? Get the OW-1P, the one that works! Ultra thin wall design. 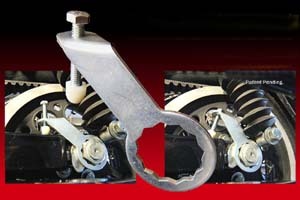 Engineered for all late model ('90 and newer) Harley Davidsons using the stock filter with minimal clearance between the crankcase/sensor and the filter; it allows you to easily get in that tight spot to crack the filter loose without slipping. 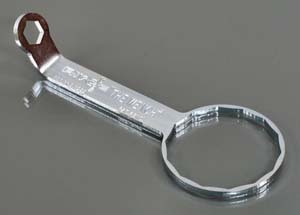 The small end also features a built-in drain plug wrench, making this your all-in-one oil change tool. Made in USA. Work great with the OH-1 Oil Filter Change Helper. 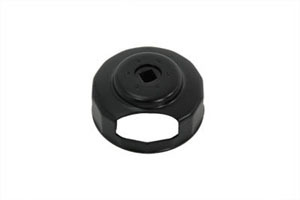 OW-1: Oil Filter Wrench for 3” oil filters. 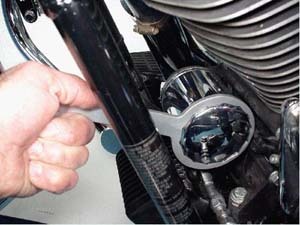 This Oil Filter Wrench fits 3” – 14 sided filters as used on Harley Davidson and othermotorcycles. Includes built in 16 mm wrench for Oil Drain Plug removal. 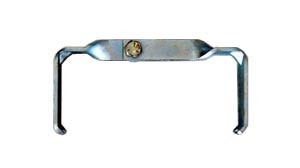 Zinc plated chromatic finish provides years of proven durability and utility. Made in the USA. 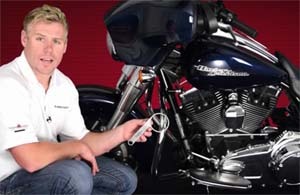 ABL-1: Adjustable Battery Lifter for motorcycles. The assembly pivots to properly grab the battery. 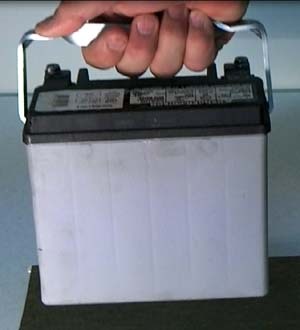 It has six adjustable positions for smaller and larger motorcycle batteries. 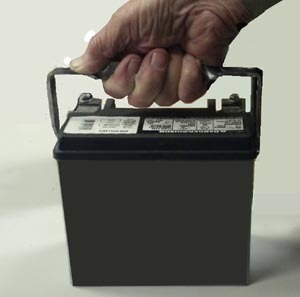 Aids in removal of battery from small spaces. 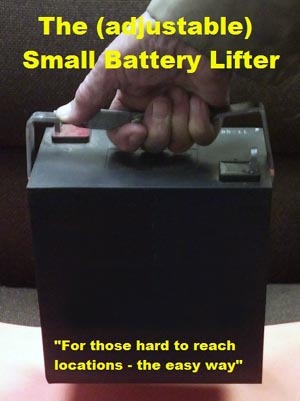 Makes it easier to lift out heavy motorcycle batteries where they is little room around the battery. Works on H-D and many motorcycles. Patent pending. 3H-1: The 3rd Hand allows all Electra Glides and Road Glides made from 2002 to current to properly set the tension of the belt drive and lock the cam in place with a single wrench. 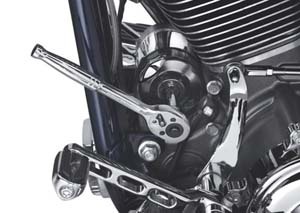 Holding the drive side nut in location otherwise requires a second wrench and a steady hand – usually held by a second person. Every dealership that has a 3rd hand in their shop has found that they use it every day - a testament to the successful acceptance of the 3rd Hand in our industry. This tool created by riders, for riders. An improperly tensioned belt will wear out the belt sooner, effect the torque delivered to the wheel, and have a negative impact on the life of the transmission. 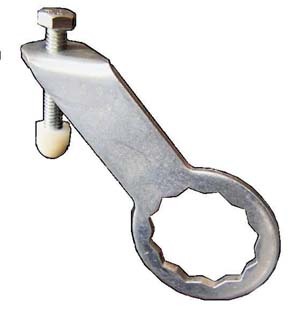 It is a must have functional tool in every tool kit for the correct setting of belt tension. Buy yours today, so you will have it when in need down the road.